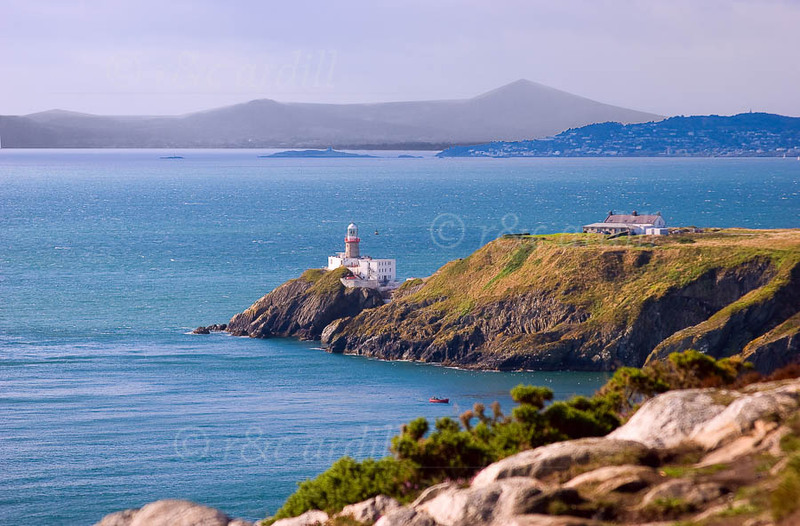 Photo of: East Coast of Ireland: Dublin: Howth. The Baily Lighthouse (or Bailey Lighthouse) is a fine lighthouse on the northernmost point of Dublin Bay. There has been a light at this point for over 300 years although the first lighthouse was not built here until 1668. This photo was taken on a windy day with heavy broken cloud, giving the high constrasts and vivid colors.